Johannesburg - Set your alarm clock for 05:59 on Monday. This way you will witness a new feel and viewing experience of eNCA at 06:00. Now in its 10th year, the 24-hour news channel has installed a world-class studio and made a fresh change to its line-up. And they have roped in former Al Jazeera English journalist Jane Dutton. The overhaul is about changing the face and look of news production in South Africa. 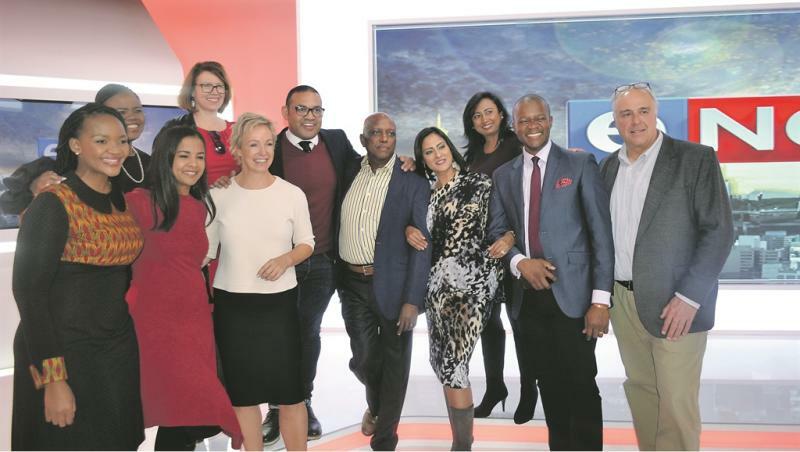 At an intimate occasion at their studios in Hyde Park this week, eNCA hosted members of the media and industry players to unveil a new beginning after 10 years of news service. It was jolly, light and refreshing. Guests were treated to a delectable roaming menu, including chicken and mango salsa tartlets, spring rolls and deep fried halloumi. As with any milestone, wine and champagne flowed while the saints stuck to soft drinks and water. Mapi Mahlangu, editor in chief at eNCA, said they wanted to not only remain relevant to the market, but continue to play a leading role. “Part of our thoughts about reinventing ourselves for the next 10 years was to look at what sets us apart from other news producers in South Africa. “It is the promise we made 10 years ago when we came into the industry. It is the promise we continue to keep, that we are the voice of the people,” said Mahlangu. “The Constitution and the Bill of Rights are the most important documents that inform what the 24-hour news channel does on a daily basis. Cathy Mohlahlana, who co-hosts News Night with Vuyo Mvoko, said she was excited about the new move. “We will bring you more of the analysis that you already see on News Night,” she said. Mohlahlana said by the time the day ends, viewers have already followed the news on social media and the radio so there would be more analysis from their side. eNCA is available on DStv channel 403.